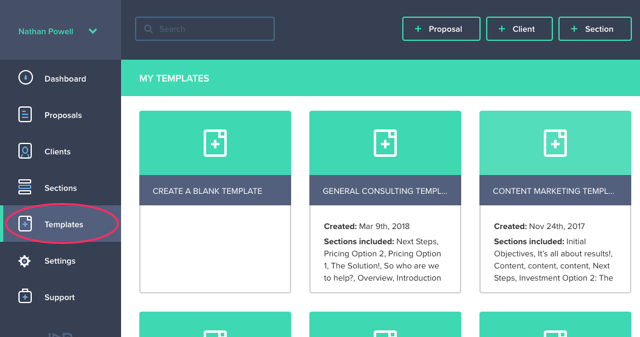 Cloning a proposal template from an existing one couldn't be easier. First, click on the Templates icon in the lefthand menu. 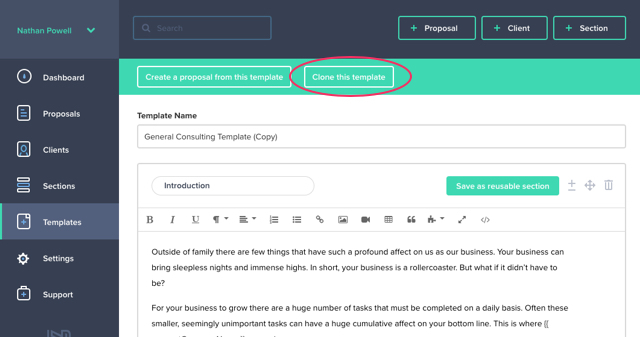 Then click on the template you'd like to clone. This will open the template in Edit mode. 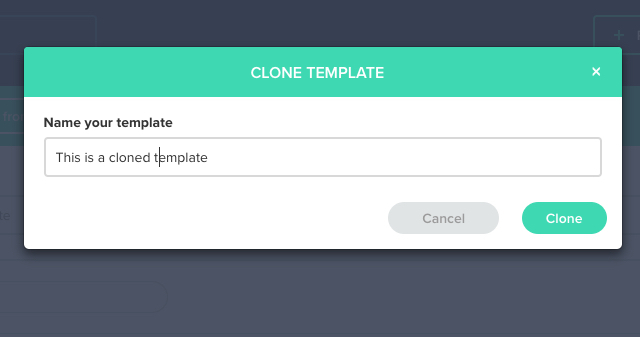 Now click the Clone this template button. This will open a modal that will ask you to give the template a name. Type a name and click the Clone button to continue. That's it. You're all done!